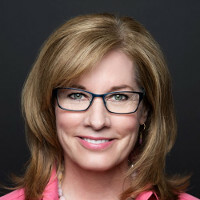 The UK’s newly-installed information commissioner, Elizabeth Denham, has called for the UK to implement upcoming EU data protection laws in spite of the Brexit vote. The EU General Data Protection Regulation (GDPR) introduces major changes around data protection, risk assessments, and the notification of authorities within 72 hours of a breach. The regulation comes into force on 25 May 2018 and will apply to companies anywhere in the world that handle the data of EU citizens. Ms Denham said: “The UK is going to want to continue to do business with Europe. “In order for British businesses to share information and provide services for EU consumers, the law has to be equivalent. Adrian O’Connell, partner and head of contracts and technology at Tughans, told Irish Legal News: “The question whether or not to adopt forthcoming EU data protection laws, highlights a dilemma for the UK that Brexit poses in a number of areas of regulated activity.